Annual Trooping of the Color ceremony to celebrate the Queens birthday. Today the ceremony was not attended by Prince Philip the Duke of Edinburgh as he is recovering after surgery. 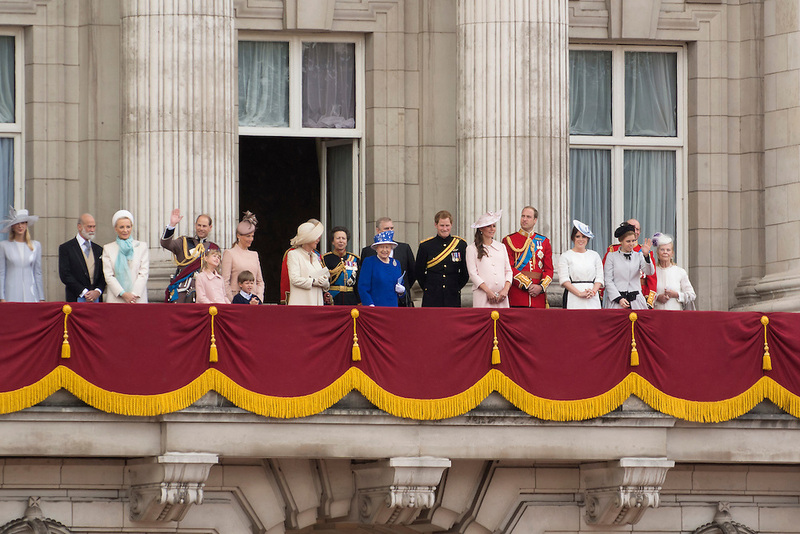 Lady Gabriella Windsor, Prince Michael of Kent, Princess Michael of Kent, Prince Edward, Earl of Wessex, Lady Louise Windsor, James Viscount Severn, Sophie, Countess of Wessex, Camilla, Duchess of Cornwall, Prince Charles, Prince of Wales, Princess Anne, Princess Royal, Queen Elizabeth II, Prince Andrew, Duke of York, Prince Harry, Catherine, Duchess of Cambridge, Prince William, Duke of Cambridge, Princess Eugenie, Princes Beatrice, Prince Edward, Duke of Kent and Katherine, Duchess of Kent stand on the balcony at Buckingham Palace.